Washington, DC — The recent ”inexplicable” rash of firings of scores of high-ranking military officials in the Algerian armed forces is nothing short of a coup d’état led by Vice Minister of Defense and chief of staff of the Algeria’s People's National Army (ANP), General Ahmed Gaid Salah. Washington, DC — The recent ”inexplicable” rash of firings of scores of high-ranking military officials in the Algerian armed forces is nothing short of a coup d’état led by Vice Minister of Defense and chief of staff of the Algeria’s People’s National Army (ANP), General Ahmed Gaid Salah. Fifty years after its independence, yet another general emerges as the undisputed leader of Algeria. 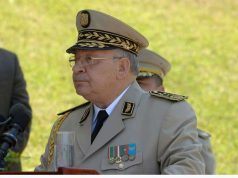 Over the past few months, Algeria’s new strongman General Gaid Salah has orchestrated an unprecedented shake-up of his nation’s security apparatus with the firing of all but one head of the country’s military regions, the head of the national police, several generals and high-ranking officials within Military Intelligence. The firing of the chief of the National Police, General Abdelghani Hamel, was a master coup that gives Gaid Salah unprecedented power. General Hamel, a close friend and a confidant of the presidential clan, was considered by many as a pillar of the Bouteflika regime. Even more significant, right after the removal of Hamel, General Gaid Salah tried to sack General Bachir Tartag, another significant figure of the current regime. 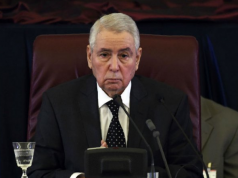 Media outlets close to the military circulated articles predicting the imminent demise of Tartag, the head of the DSS (Algeria’s powerful intelligence agency). However, no official announcement was ever made. With the termination of Hamel and the weakening of Tartag , Gaid Salah consolidates all the powers. 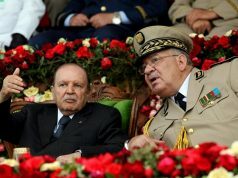 In fact, he has used the debate over the suitability of President Bouteflika to run for a fifth term as a cover to fire unfriendly elements and assign close aides to key positions in the armed forces and security services. Additionally, he is in the process of drafting a list of names of loyalists who would replace a number of current Governors. In his attempt to further intimidate his opponents, Gaid Salah has banned several of the dismissed generals from leaving the country. 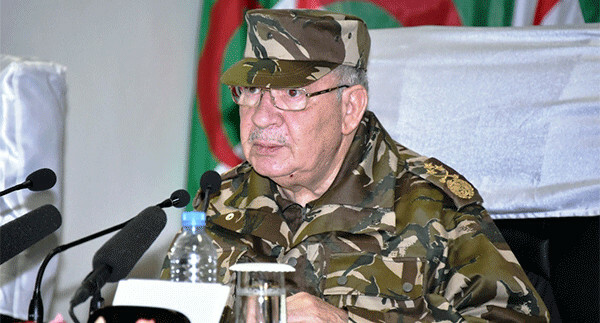 According to military sources cited in the Algerian press, general Nouba Menad, the powerful former chief of Gendarmerie Nationale ( a national police force that report to the military establishment) and the former heads of military regions I, II, IV and V are barred from leaving Algeria. This strategy is a vehicle for the new boss to solidify his hold on power for yeas to come. The Vice Minister of Defense strategically chose the timing of Bouteflika’s medical visit to Switzerland to ram through his nominees. The partially paralyzed and seldom seen President hardly seems in control of the events around him or able to manage such complex and calculated assignments. 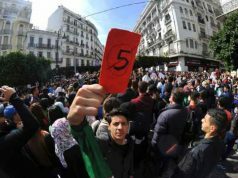 Gaid Salah’s supporters have been portraying these purges as an anti-corruption sweep in response to the seizure of a large cocaine shipment in the port the city of Oran. For the General, these changes are an attempt to de-politicize the ANP. In truth, with the removal of any potential rival and the assignment of loyalists to key security positions, General Gaid Salah has established a firm grip on the nation and silenced all opposition. He has decimated the Oujda Clan and sidelined Saïd Bouteflika, the President’s brother and a potential rival with presidential ambitions. Additionally, the chaos in Libya and the political uncertainty in Tunisia have emboldened Gaid Salah. He saw the region’s shifting geopolitics as an opportunity to ready his clan for power under a lame duck Bouteflika 5th term. Despite his likely success in re-electing Bouteflika as a President next year, Gaid Salah will remain vulnerable to social and political changes in Algeria and the Maghreb region. Although there is no genuine opposition to the military establishment, the gloomy economic forecast for Algeria has left many of its people bitter and disillusioned. 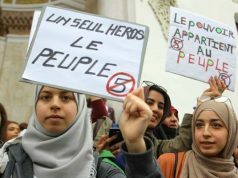 Recent spate of terrorist attacks and social protests have shown that Algeria faces real security and political risks, The ANP’s decision to back Bouteflika’s fifth mandate is only exacerbating them. While fear of terrorism and extremism have historically forged a unified front in Algeria, a collapsing economy and the lack of a clear political agenda will likely fragment the opposition parties that have been “obeying” military orders. 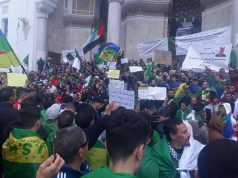 Proclaiming that the nation faces an existential threat from extremist groups backed by hidden hands (a term used in official propaganda to describe outside conspirators) who want to witness Algeria’s humiliation, the military backed Algerian regime continues to garner the blessing and the compliance of its citizens. As the General cleans house and prepare his troops for the “fifth term”, the International Monetary Fund has warned Algeria of dire economic consequences if the government does not implement real reforms. He may have the ANP under control but the rumblings of dissent in the country will, without a doubt, continue to grow.